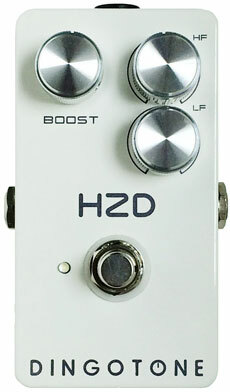 The Dingotone HZD Boost pedal is the world’s best clean booster. Period. It will give you clean boost and transparent EQ – it absolutely will not mess with your tone. The HZD is a reinvention of the concept behind the vintage Boss* FA-1 FET amplifier. It is not a “clone”. It is far superior. The HZD is a killer pedal, and over the last four years it has found its way onto guitarist’s boards in countries across the world.